All dogs are individuals with their own likes and dislikes. 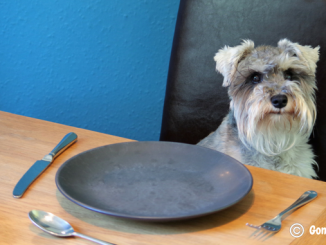 But there are a few common habits we owners have that irritates our furry friends. While we may get ticked off when fido rummages through the bins, or chews on our new slippers, there’s usually a very good reason for that. And the key is finding out why they’re exhibiting that behaviour in the first place. 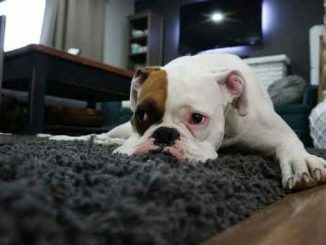 Could pup be bored, need more exercise or stressed from being alone too long? The behaviour we dislike is more often than not a direct result of our own actions. So for us to live harmoniously with our dogs, we first need to take a long hard look at what we’re doing as owners. Only then can we find the root of the problem and take steps to fix it. If only our dogs could speak, I’m sure we’d be getting plenty of back-chat. 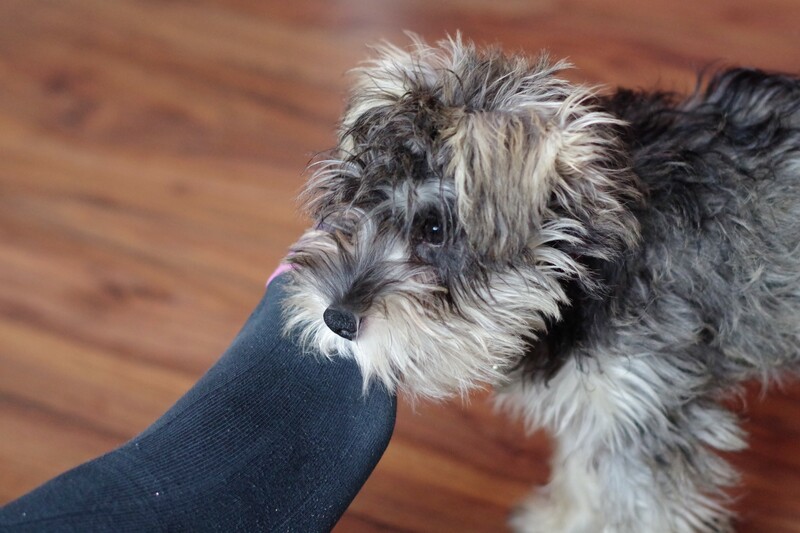 Especially when we do these 10 things dogs hate. I get it. When you take your dog for a walk in the morning or after work, you’re constantly on a timer. You have to get the kids ready for school, eat breakfast, wash up and jump in the car ready for work. When you come home, you have another long list of things to do before you can settle in for the night. So walking the dog is often a rapid stomp around the block. Maybe you find yourself coaxing your dog along as they stop to sniff every blade of grass. 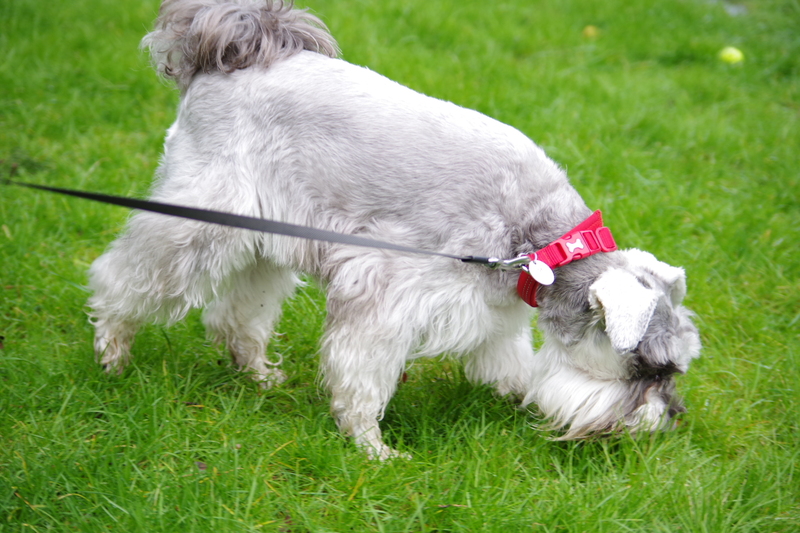 But sniffing is an essential part of our dog’s walk. To them, it’s like reading the newspaper and catching up on all the neighbourhood gossip. So when we rush their walk, we’re depriving our dogs of the small enjoyments in life. So why not take a moment to give our dogs what they want and need. Instead, you could select one walk as a sniff adventure in the day. You could even use a different lead to give a clear signal that this walk is different. Another option is to simply set a timer. Walk as far as you can while letting your dog sniff within that time frame. So if you have a designated hour, it doesn’t matter how you and your dog spend it. As long as you head back within time, you’ll remove all that frustration and urgency you usually feel. Walking should be their time. Let your dog do what they please and enjoy the time they get to spend with you by their side. Dogs are extremely playful by nature. 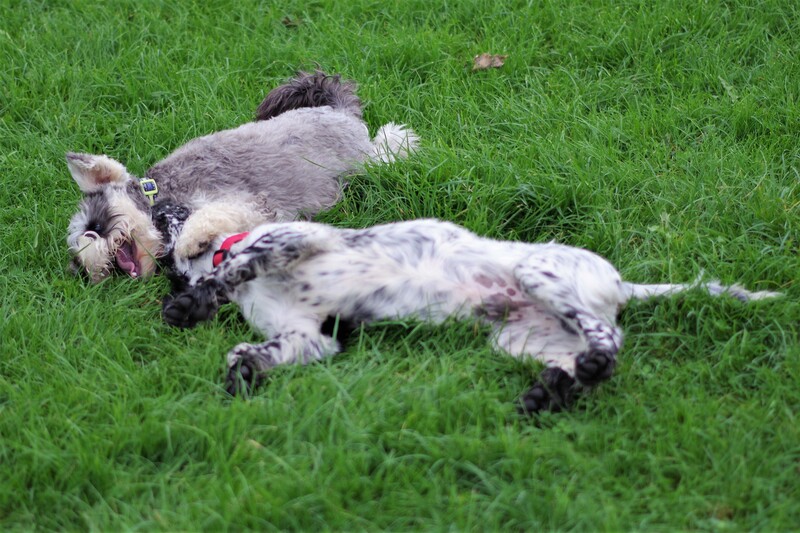 As puppies, play is an important part of socialisation as well as cognitive and muscular development. This need for play carries right through into adulthood. But without litter mates to bound around with, that responsibility falls to us. Especially in a one dog household. Our dogs crave that close bond that forms through play. 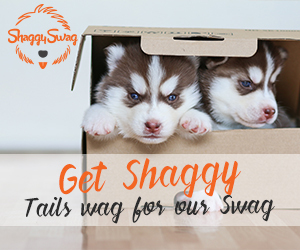 It gives your dog a chance to let off steam, enjoy life and be close to their human companions. When we come home from work, our dogs are overjoyed to see us. It truly is the highlight of their day. 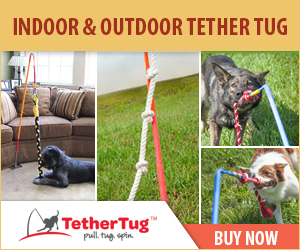 So if you’re too tired to throw a ball or play tug of war, you can be sure poor fido is pretty sad about that. The next time your dog looks up at you with those expectant eyes and that tattered bear in its mouth, seize the moment. Even if it’s just 5 minutes a time. We’ll be sad we didn’t take the opportunity more often when they no longer can. I’m a big advocate of brain games. Dogs are intelligent animals and can accomplish far more than you might think. They relish the chance to be stimulated on a cognitive level. You should just see my Loki’s tail wag whenever I pull out a dog puzzle or we play a game of hide and seek. With mental challenges she’s much more animated than when she’s faced with the prospect of a walk. And lately we’ve been teaching her to read! 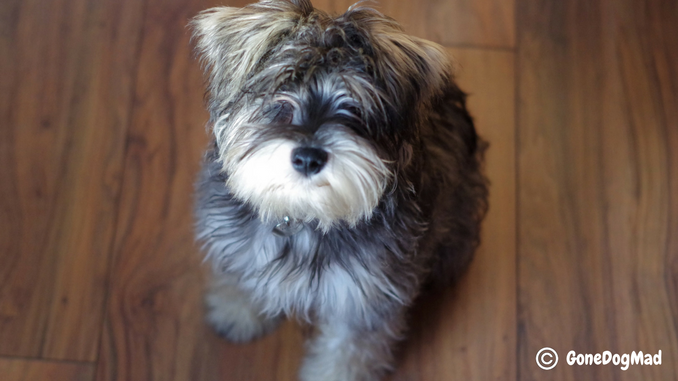 I know, sounds crazy right… So far, she’s mastered sit, stand and lie down by reading the words from signs we’ve made. I’ll have to post a video when she’s learned a few more. But the point is she loves and thrives off these mental challenges. We consider it an important part of keeping our gorgeous girl happy and healthy. 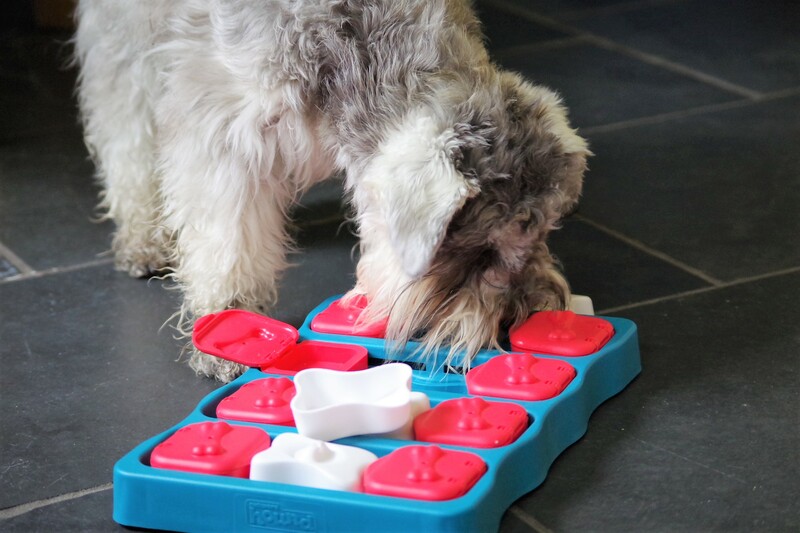 We have a range of brain games in the house – both bought options and DIY games. This memory trainer I bought for her birthday is one of Loki’s favourites. But there are so many amazing things you can make with household items. Just check out these 4 DIY brain games for inspiration. A well-fitted harness gives your dog the support they need to walk on a lead comfortably. If your dog isn’t great at walking to heal or they lunge at other dogs, birds and cats, they need adequate structure around their body. 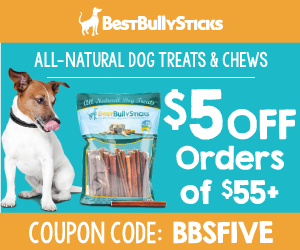 Not only does this give you better control, but it’s kinder on your dog’s throat. You wouldn’t want to be dragged around by your neck! 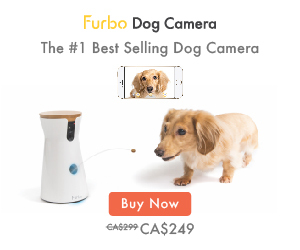 Neither does your dog. 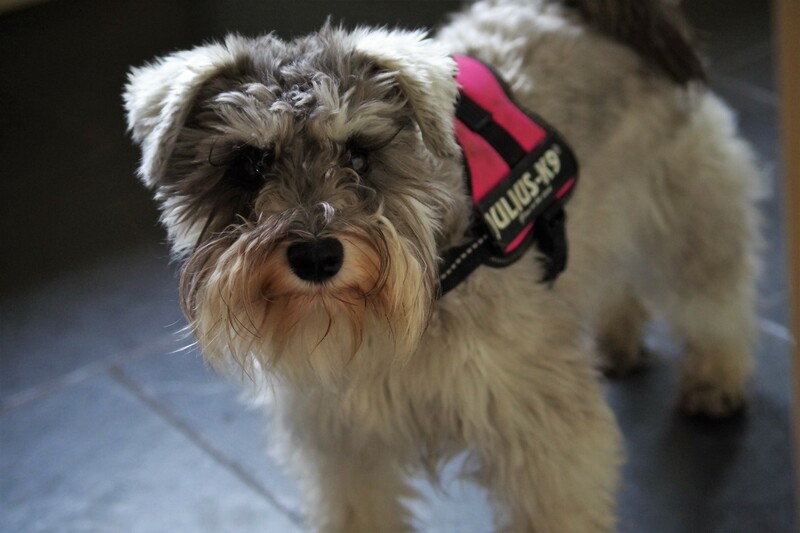 Our bouncy schnauzer will unexpectedly lunge at cats, and occasionally other dogs if she’s excited to meet them, so a harness was crucial for us. When we just used a collar as a younger puppy I was worried about the damage it could be doing to the muscles in her neck. So now we use the Julius K9 harness in the mini-mini size. It’s a perfect fit and Loki seems far better supported. It’s much easier to keep her under control when she has one of her moments. 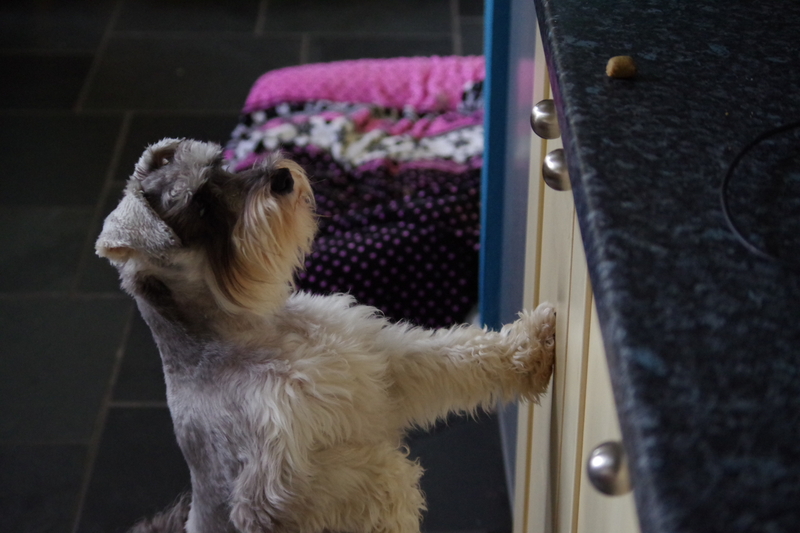 Dogs crave structure and order in a household. They feel more comfortable in themselves and understand their place when there are clear rules to obey. 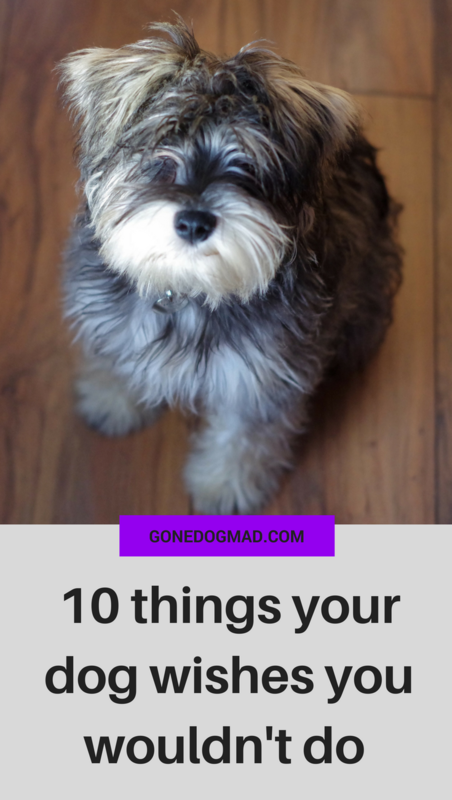 So if you don’t want your dog on the sofa or in your bed, you need to be consistent. They need to know these are the rules of the house and being on the sofa is not an option. You will only end up confusing your dog if you often change your mind. They don’t understand that when it’s ok one time, it’s not ok the next. Whatever the rule is, keep reinforcing the correction and stay consistent. Following on from my last point. If you set the household rules in stone, your dog will know where they stand. If they understand exactly what you want in different circumstances, there’s no need to shout. And if there’s one thing dogs hate the most, it’s being shouted at. Your dog won’t necessarily understand why you’re bellowing at them for something they did moments ago. So it won’t stop them from repeating the same behaviour. All your yelling will do is make them feel confused and upset – without knowing what they did wrong. And they may even become fearful of you. The best human/dog relationships are formed with mutual respect at the heart. Dogs respond far better to positive reinforcement over punishment. In simple terms, you should reward good behaviour and ignore the bad. Dogs are generally social creatures but not always when it suits you. They need downtime just as much as we do. And not all dogs are ok with certain dogs or people. Your dog may have a fear of men, or perhaps they don’t tolerate children well. Being plonked in the same room as the object of their anxiety can be extremely stressful. 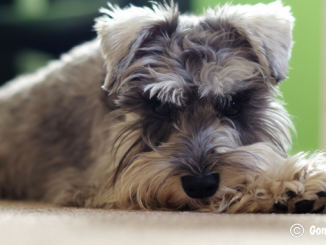 Always consider your dog’s energy levels and preferences first. If your family is having a kid-friendly party and your dog is not keen on children, don’t assume your dog will be fine and adjust. If they do have a problem, this kind of counter-conditioning takes training and planning. It would be irresponsible to drop them into such a highly charged situation. 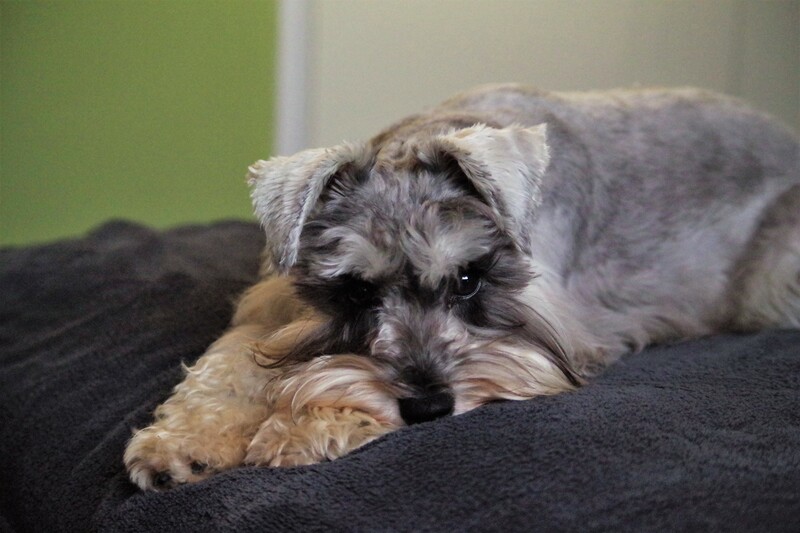 Likewise, if your dog has had a big day and looks fairly relaxed at home, consider leaving them to recharge in the quiet or have a family member look after them. 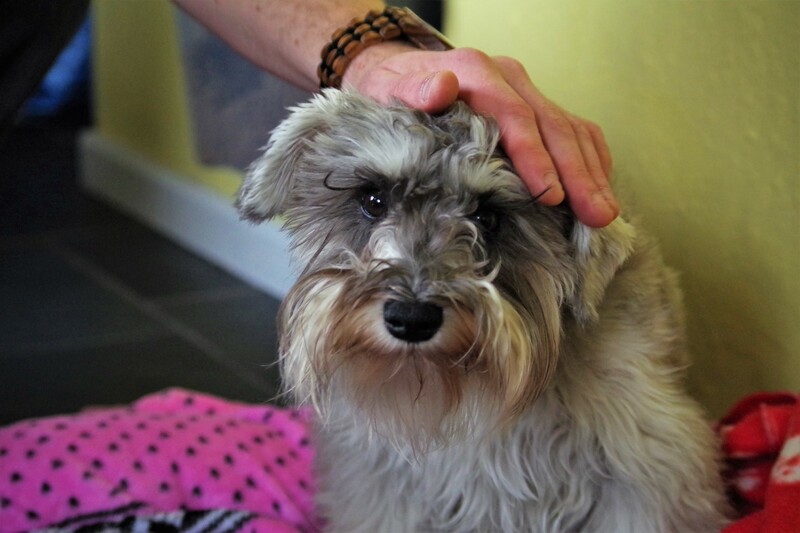 Although it seems like the most obvious place to stroke your dog, most dogs dislike being petted on their head. And Loki’s one of them! 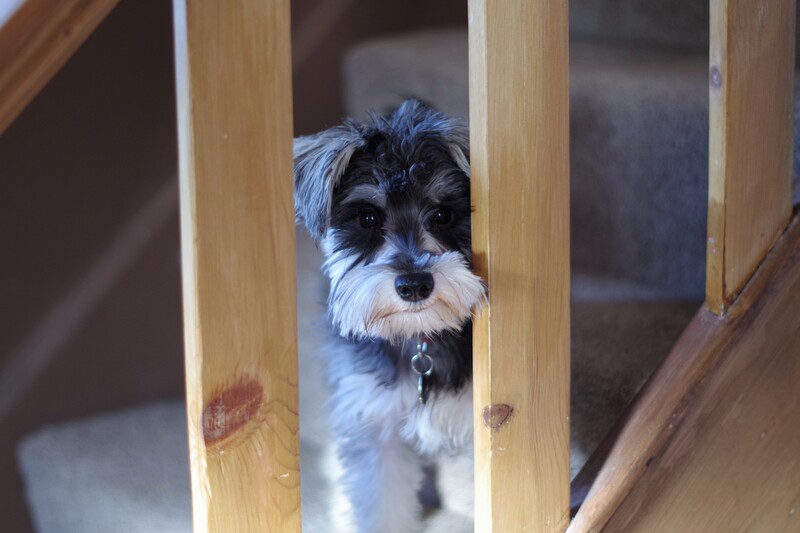 Look at it through your dog’s eyes, how comfortable would you feel if someone reached down from above towards your head… A little anxious, unnerved, scared even? It’s the most confrontational way to pet your dog, and often times our dogs will give cues that they’re not too thrilled with our petting choices. Watch out for your dog’s body language when you do. If they dip their head, step away, lick their lips, pant, yawn or show the whites of their eyes, they’re showing stress signals and it’s time to stop. If your dog’s eyes and mouth are relaxed, their body posture is loose and they lean in for more, they’re likely enjoying the experience. So the next time you choose to pet your dog’s head, watch their body language for stress or enjoyment signals. They’re trying to tell you something. Most dogs are much happier in the company of others, and some dogs simply don’t tolerate being alone at all. Our dogs want to be part of the family in everything we do. Being left without company for hours everyday is a big shock to the system and takes a lot of getting used to. But it’s something many of us do as we head off to work every morning. My Loki is a very lucky girl. Because I work from home she’s never left alone. To be truthful, I don’t think we’d have a dog if it wasn’t this way. In any case, our dogs shouldn’t be left home alone for longer than 4-5 hours. Personally, I think it’s rather cruel to expect a dog to stay home for 8-9 hours every day without so much as a toilet break. If you’re at work for extended periods, consider hiring a dog walker to break up their day. Or at the very least ask a family member or neighbour to pop by and let them out. This one is a big bugbear of mine, and I’m sure equally irritates dogs too. They’re not human children to dress up and pamper. No doubt your 5-year-old daughter loves playing in her princess outfit, but I’m convinced dogs would rather stay out of the costumes and dressed the way nature intended – in their fur! If your dog dips their head, pulls their ears back and freezes on the spot, you can be sure they’re not enjoying their new attire. I’m sure not everyone agrees with me on this one, but that’s absolutely fine. The world would be a rather dull place if we all had the same opinions. But besides the clothing controversy, your dog just wants permission to be a dog. They want to roll around in mud, sniff the flowers and chase that squirrel. If we censor their lives to the extent we do our children, we take away their innate instincts and those magical moments that make them happy. Without contradicting my earlier point about setting boundaries, let your dog be a dog, within reason. Do your basic obedience training, set the house rules, but give them the freedom and trust to be playful, bouncy and inquisitive.